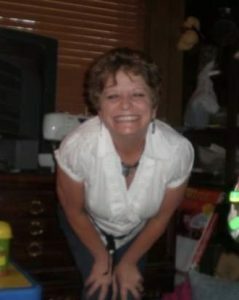 Connie Weeks Mcdonald,58, passed away Tuesday October 23,2018 at her residence in Maiden, NC following illness. She was born in Spartanburg, SC to Richard and Joyce Weeks. She attended Boiling Springs High school, and was an employee of Citi Financial for twenty years. She enjoyed yard sales, scrapbooking, cooking, and spending time with her grandchildren. She was preceded in death by her father Richard Weeks. She is survived by her mother Joyce Weeks ( Boiling Springs,SC), her husband Kenneth Mcdonald ( Maiden, NC), a daughter Amy Cotellese ( Myrtle Beach, SC), a son Shane Gossett ( Maiden, NC), and nine grandchildren- Austin and Regan Floyd, Kenlee, Grayson, and Waylon Gossett, Kylie and Kinsley Cotellese, and Destin and Ayden Hott, brother Anthony Weeks and sister Leslie Weeks. She was a member of Gateway Baptist Church. Family and Friends are invited to attend a memorial service Sunday October 28, 2018 at 2 pm at The Good Samaritan Funeral Home in Denver, NC.